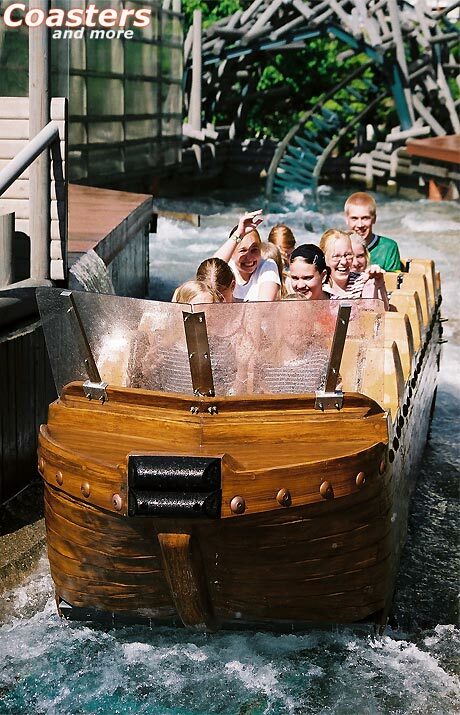 Since 2001 Linnanmäki at the very heart of the Finnish capitol Helsinki presents the Liquid Coaster Vonkaputous by the American company Premier Rides. 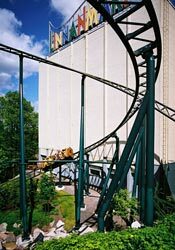 This manufacturer attracted attention in the middle of the 90s with the high tech, magnetic launch LIM looping coasters Mr. 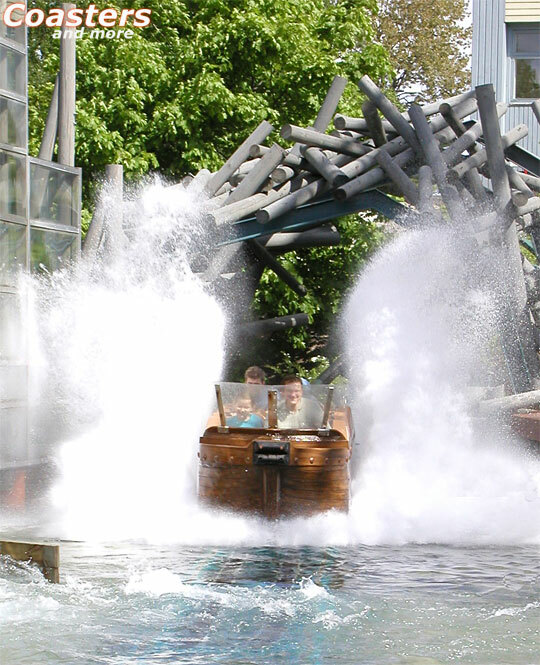 Freeze and Flight of Fear. 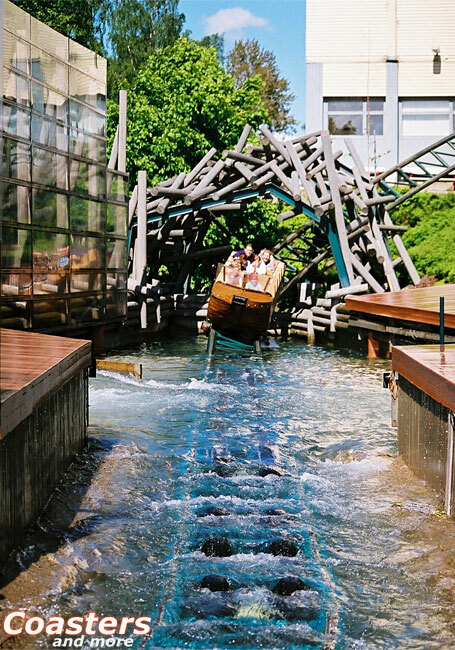 Just a little later the company started producing water attractions. 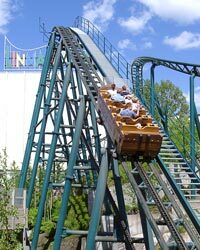 In 1999 the first Liquid Coaster was opened at Silver Dollar City. 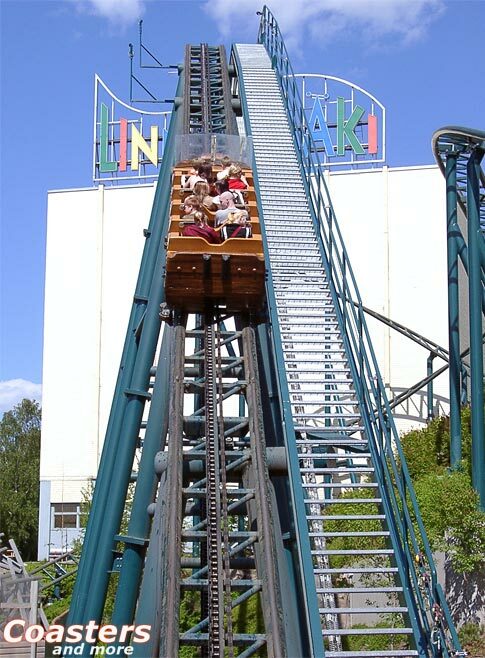 This ride recently had to give way to a new project, so Vonkaputous is the only "active" installation of its kind. 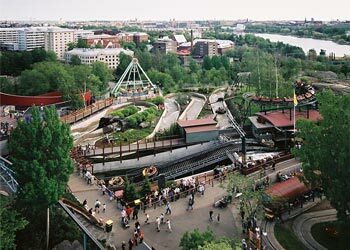 Owning a scarce ride is nothing special for Linnanmäki, the traditional park located right next door to the Olympic stadium: Among the collection of attractions are such rarities as Tulireki (which translates to "fire toboggan"), the prototype of the brand new fun coaster by Mack, or the scenic railway Vuorista dating back to 1950, today being one of the last eight of its kind. 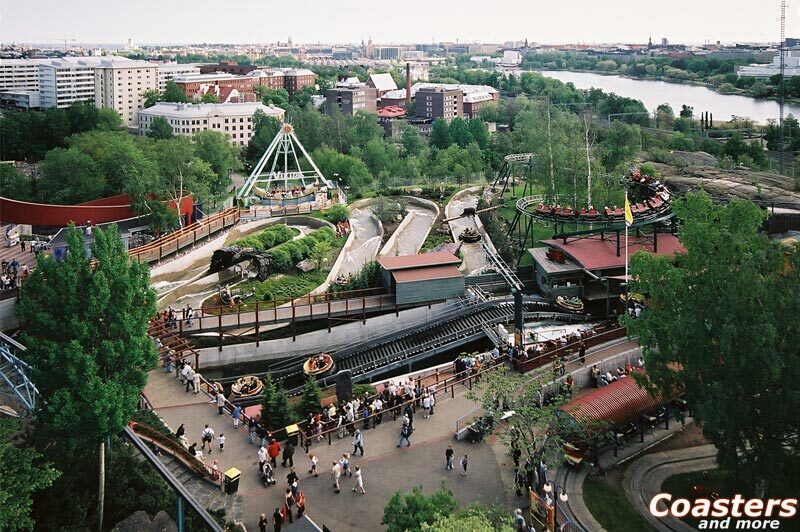 Just as unusual are the property conditions: The Children's Day Foundation operates the park just to make profits for charity purposes. The whole net profit is of benefit to the foundation. 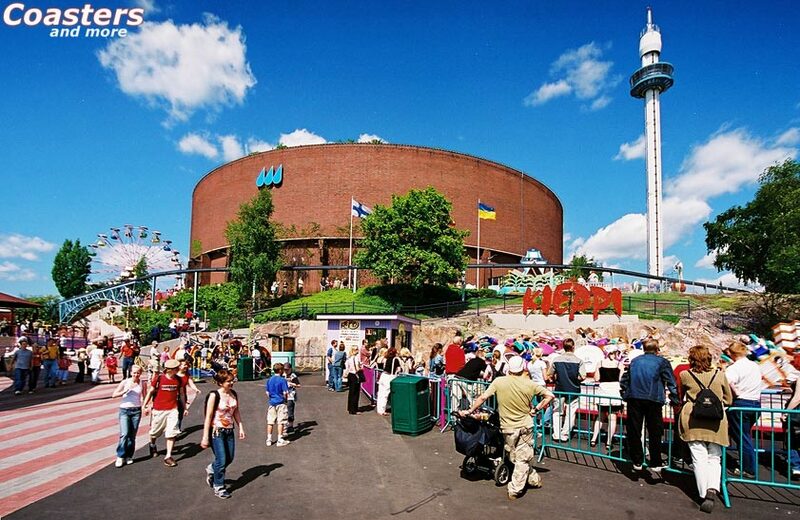 They are collecting money on fun-fairs for more than 100 years now, and at the end of the 1940s they settled down in Helsinki. 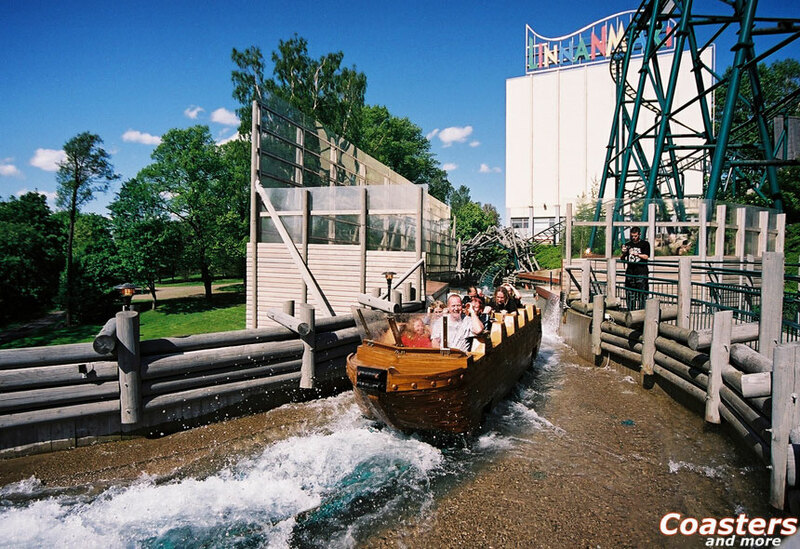 Due to its central location roller coasters and other attractions have to make compromises regarding their size at Linnanmäki - the "castle hill" is just 10 hectares large. 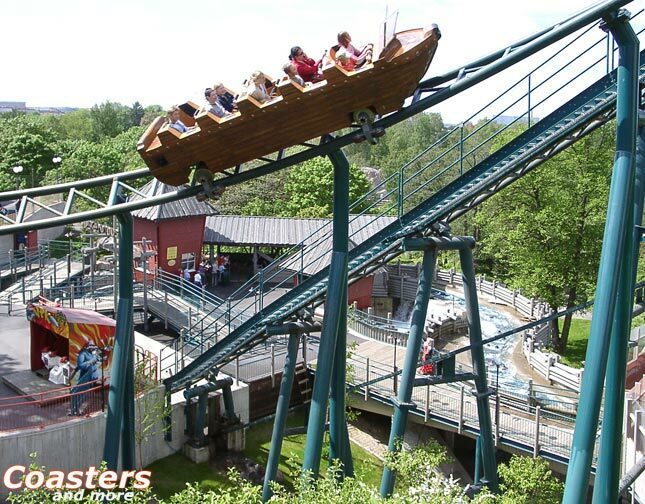 So a 320 meters long track layout was developed together with Werner Stengel for the water coaster heading towards the north of Europe that could be implemented at an extremely steep slope. 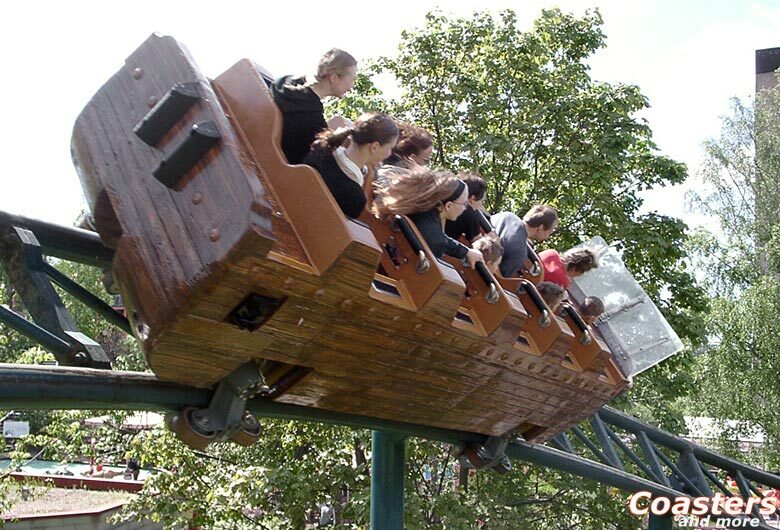 About 5 million Euros had to be invested before the ride could be opened on 12 May 2001. 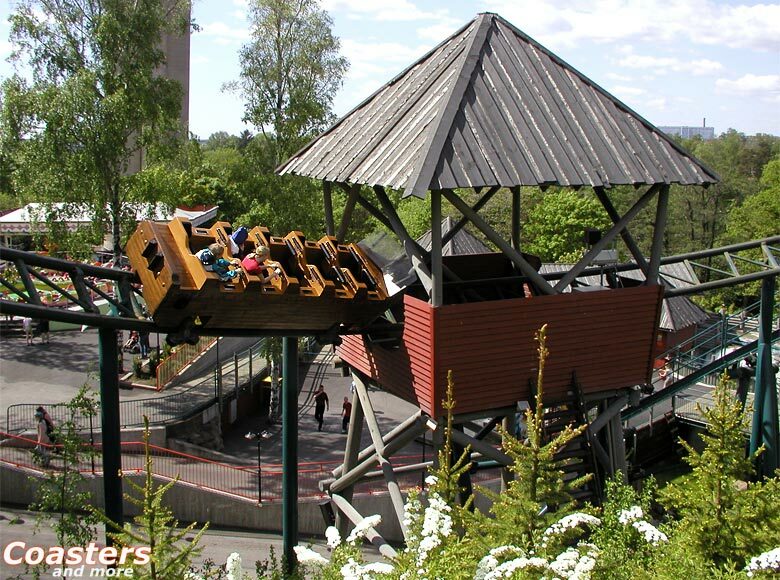 Actually, Vonkaputous is an attraction you would rather expect in warmer realms than in Scandinavia. 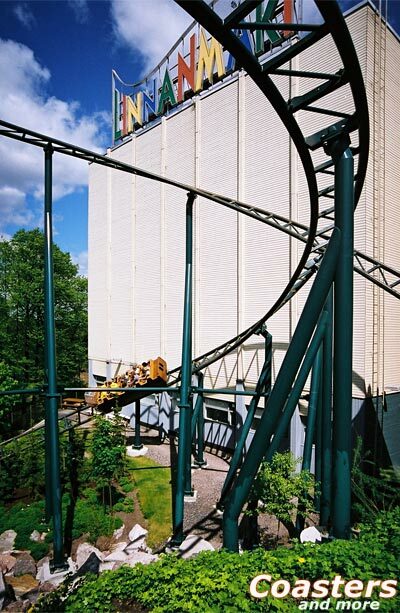 After Poseidon at Euro Park Rust this was the second water coaster in Europe. 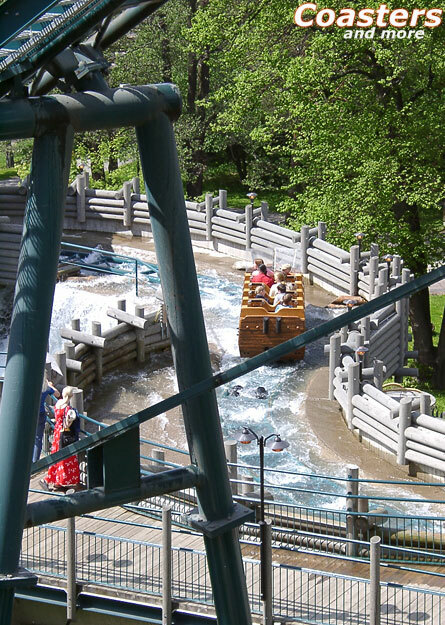 But those two rides don't have too much in common: While the boats of the Mack ride swim more than they roll on the track, the "boats" of the Liquid Coaster never leave the steel track. Water comes to fruition only as the final element during the last drop. 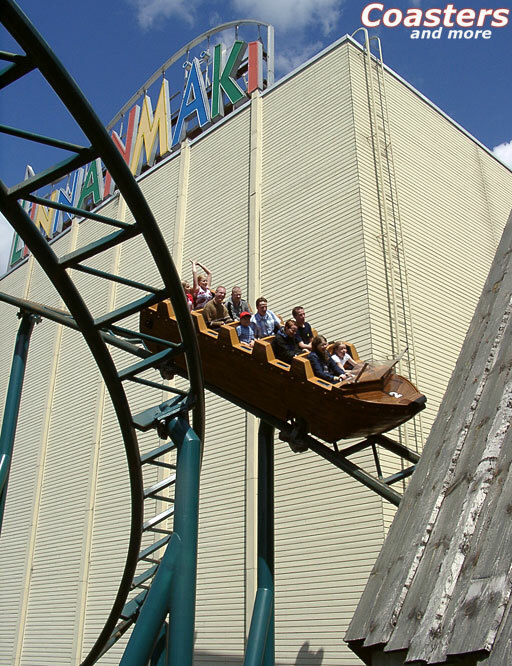 So Vonkaputous could be rather called a roller coaster with a water brake. 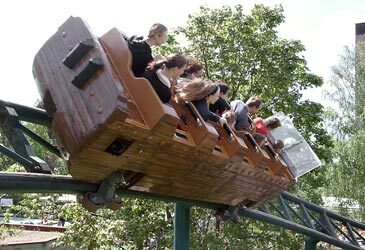 This kind of ride could be found mostly during the early 20th century at American piers. 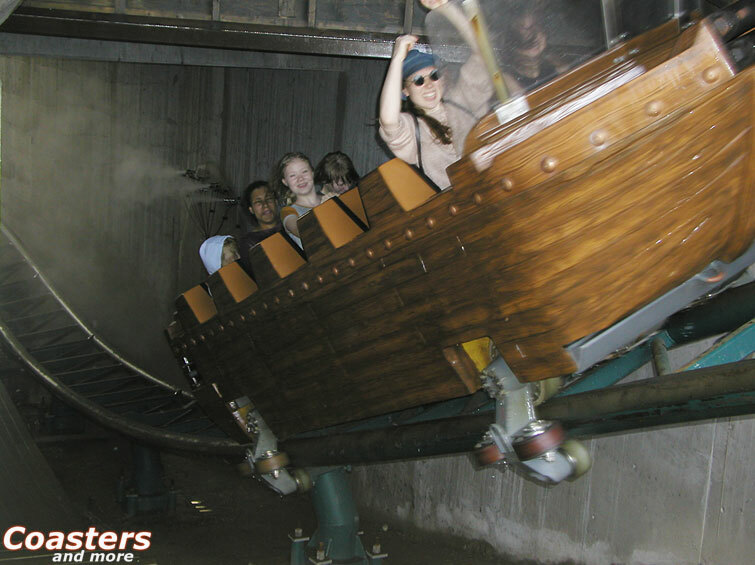 Today only the Matterhown Bobsled at Disneyland California offers such a basin. The icy winter as well as the lack of space caused a lengthy construction period. During the construction the temperatures fell below -20 degrees Celsius - normality in Helsinki. The ground was frozen meters thick, so the excavators proceeded only with difficulty. 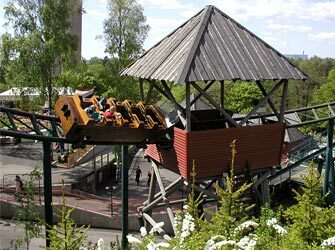 Before the construction of the foundations could be begun, a kiddy ride that led along the former "Fairytale Valley" had to be moved. 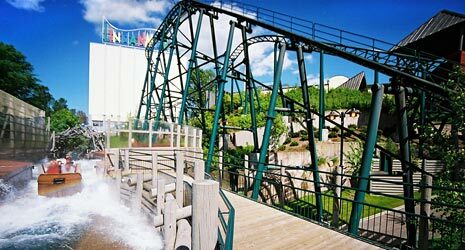 Today this attraction for children interacts with the Liquid Coaster that is additionally flanked by the Sea Life Aquarium and a fun house. More than ten kilometers of wires have been laid and about 50 infrared sensors have been installed before the massive cars, each weighing 1700 kilograms, could be sent off for the first time. 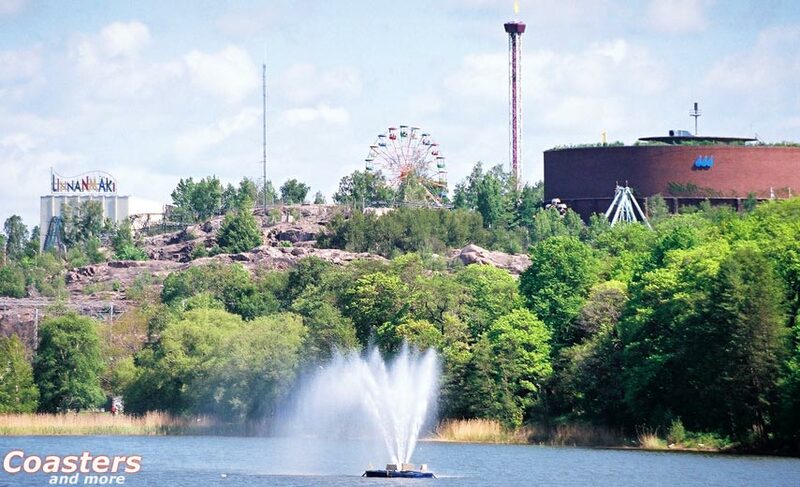 Two water pumps and three cars were included in delivery - which was rather overdone for the small park with its regular visitors from Helsinki and the vicinity: One pump really is enough for the water circulation inside the run-out basin, and most of the time only two boats are operating. The third one increases capacity only marginally. After the passengers have taken their seats in the low and massive boats, the trip can begin. 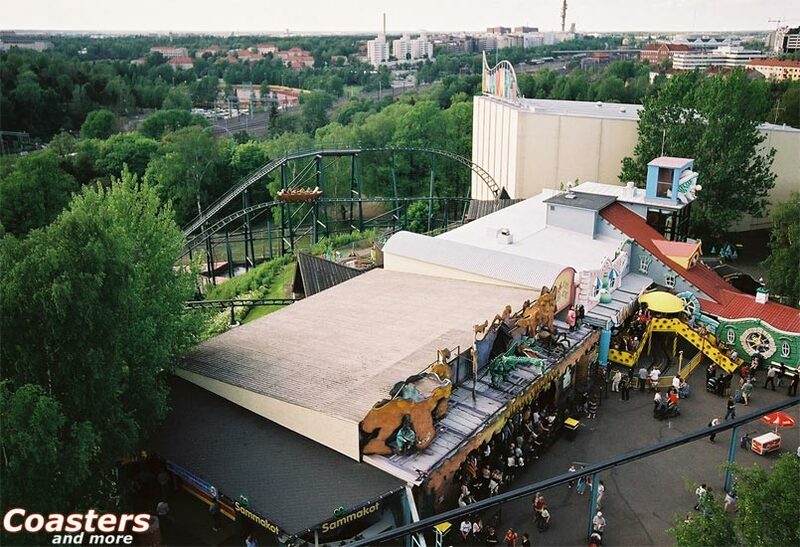 30 seconds later the car has climbed the 22,5 meters high top of the lift hill that frontally leads towards the colorful Linnanmäki sign on the roof of the Sea Life Aquarium. The rest is told quickly. In a curved drop a fog flooded house is shot through, followed by a flat hill, and already now the final, 14,8 meters high drop into the refreshing waters begins. 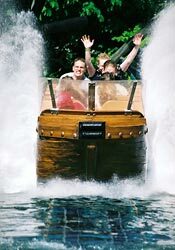 With 64 kilometers per hour the boat dips into a zone enclosed by acrylic glass and a huge jet of water not only splashes against the walls, but also back into the boat for the most part. Despite the impressive fountain the deceleration is pretty smooth, almost like at a well adjusted magnetic brake. The technical design of the brake system is very interesting, with the ride having neither classic friction brakes nor magnetic ones for deceleration before entering the station. 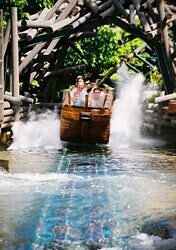 Usually the boat slows down only using the water resistance while dipping in. Friction wheels - the so called boosters - bring the vehicle back to the station, supported by a low current within the canal. 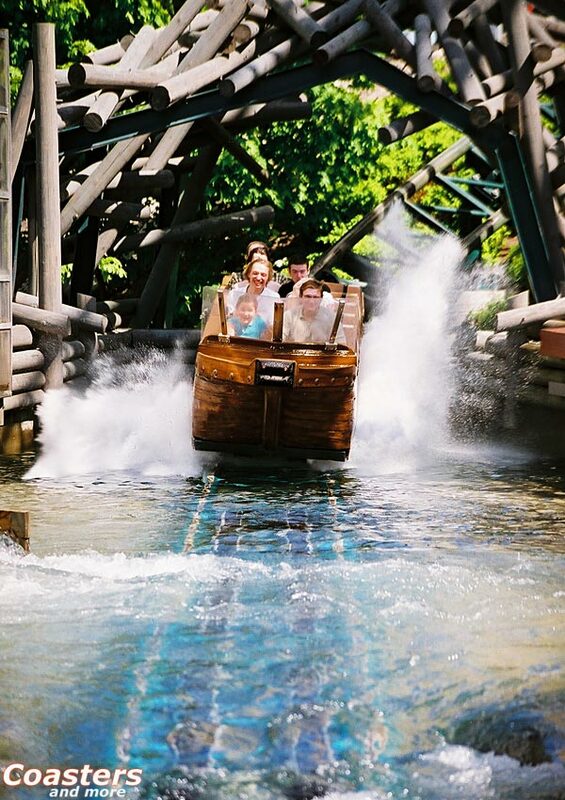 The water line is checked permanently: If it is too low, resulting in danger of the deceleration being not high enough, the ride has two safety mechanisms. Next to the clearance for the next boat not being given this is a double skid brake with rubber face. 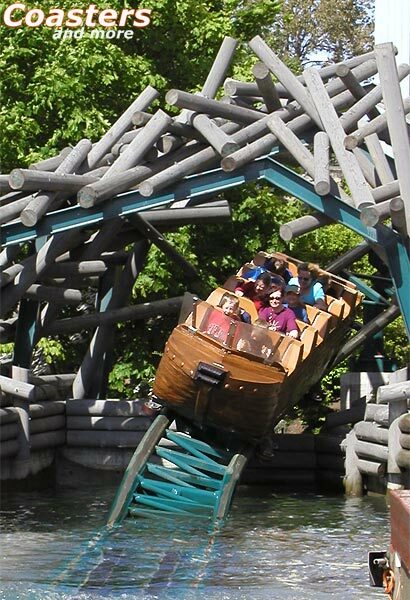 They are attached parallel to the track of the run-out section and safely slow down the boats due to additional friction. 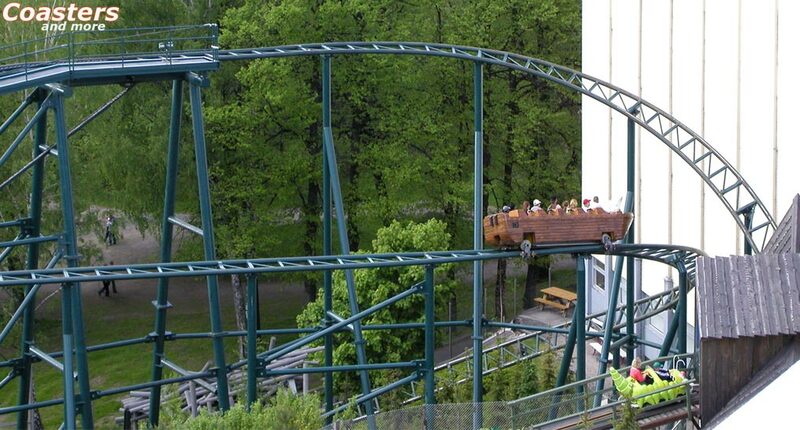 Vonkaputous' simple figure-8 layout surely doesn't make up the appeal of this attraction, but this smooth ride convinces with its final drop and the impressive splash. 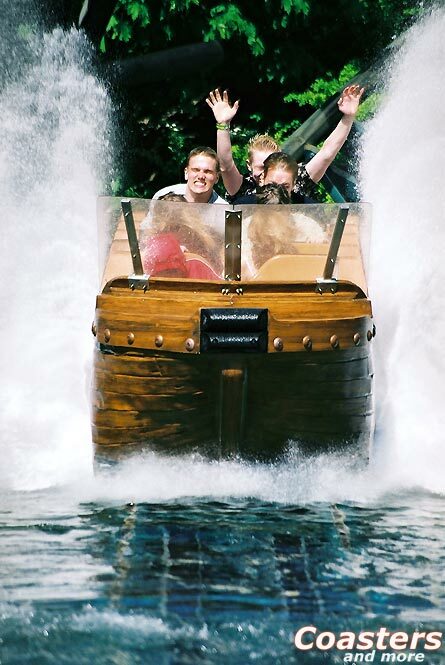 The riders' smiling faces show that water coasters work even way up north. Many thanks go to Kirsi Valta-Makkonen and Suvi Lapinvuo of Linnanmäki as well as Juha Lahtinen!